If you’ve read any of Symmonds blog entries over at Runner’s World, you know the voice he writes in. It’s very similar to how he speaks publicly. Symmonds is always a great interview in the mixed zone and the book reads like that. Wide open. You will learn about him and his inner thoughts. He doesn’t sugar coat it. 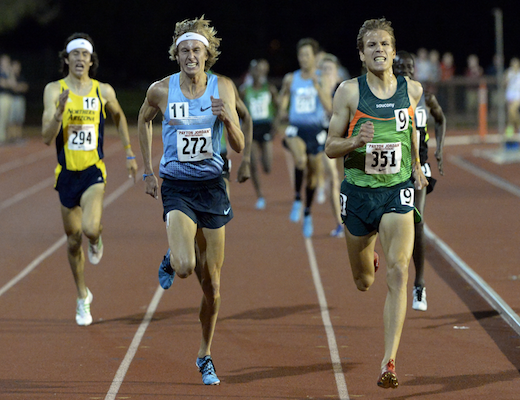 He speaks of everything from his partying in college when he was injured, and with his Oregon Track Club Elite team members in his mid-twenties. Nothing is off the table, which is refreshing. One thing Symmonds has done exceptionally well is marketing himself and turning fast times and personality into dollars. He does admit his biggest blunder was likely making public his intention to be coached by Frank Gagliano, who was at the time, the coach of Oregon Track Club Elite. This more or less pigeonholed him into the Nike camp and they were able to get him for far less than he was likely worth. He righted this wrong at the end of 2013 when he opted to go with Brooks, instead of staying with Nike, and his former coach, Mark Rowland. Without getting into specific numbers, Symmonds does a great job of explaining the negotiation process on his current contract. Parts of Symmonds book reads a little like a romance novel. He details some of his sexual escapades in college, on the professional circuit, and even on the massage table. I’m not going to lie, it’s pretty entertaining. Maybe Symmonds spent some time reading V.C. Andrews novels to get the “mood” right. He also sheds some light on the Olympic Village. It’s not what you think. 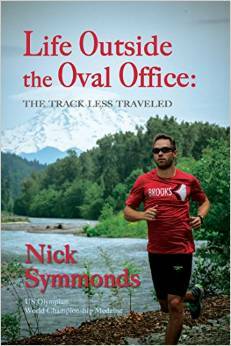 A former ex-girlfriend (who you can probably guess), introduced Hollywood publicist Hal Lifson to Nick Symmonds. 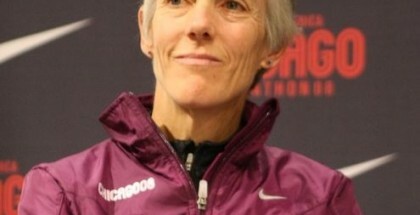 Lifson is behind the “Brad Pitt of Track” moniker (and “Natalie Portman of Track” for Shannon Rowbury) and the idea of pushing Symmonds to the mainstream. While I think Lifson can be quite corny and has told some half truths (Symmonds a rumored “Bachelor” contestant), he does have Symmonds best interests at heart and the way the Hilton date was conceived was very good work. Symmonds lays it all out there and it just backs up everything else that we’ve learned about him along the way. And Symmonds makes the best of a “staged relationship.” Why wouldn’t he?